Item # 307740 Stash Points: 5,495 (?) This is the number of points you get in The Zumiez Stash for purchasing this item. Stash points are redeemable for exclusive rewards only available to Zumiez Stash members. To redeem your points check out the rewards catalog on thestash.zumiez.com. 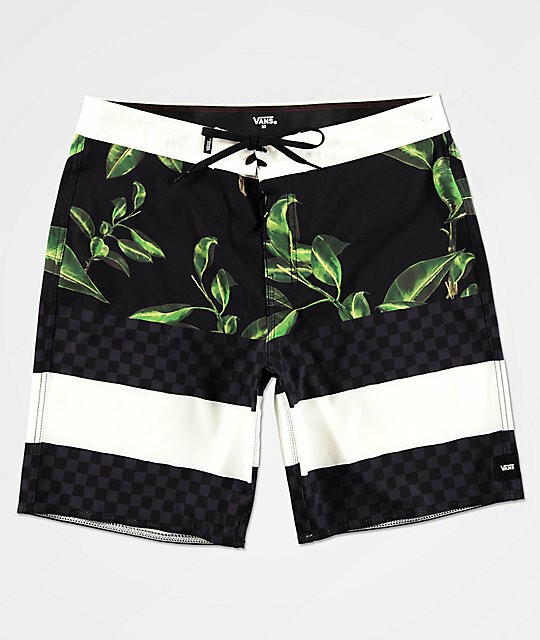 Liven up your beach going looks with the Vans Era Black Board Shorts. 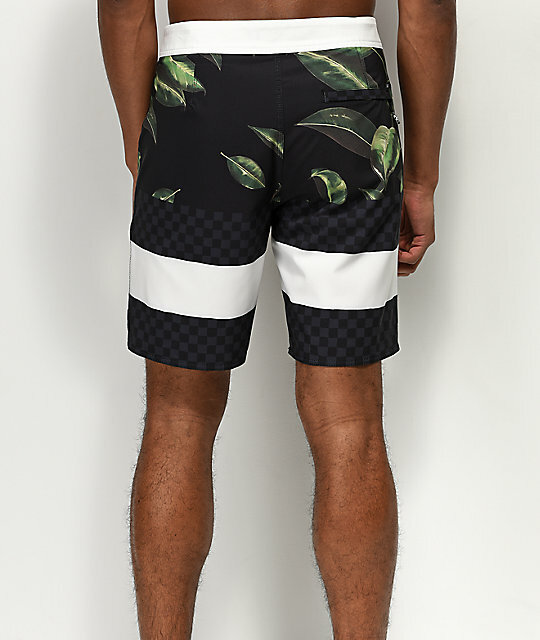 Jungle leaf print lines the upper for a nature-inspired look while the legs are lined with a mixture of white horizontal stripes and black tonal checkerboard patterns. 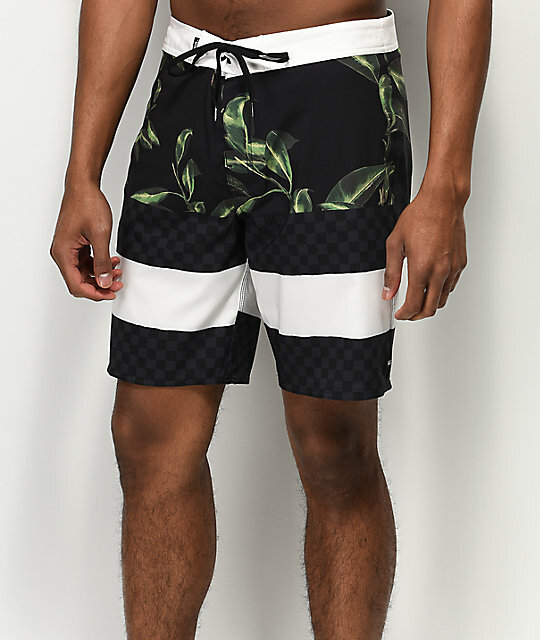 One back right pocket with zip closure adds safe storage for your essentials and the 10% elastane construction makes these shorts extremely stretchy and comfortable. 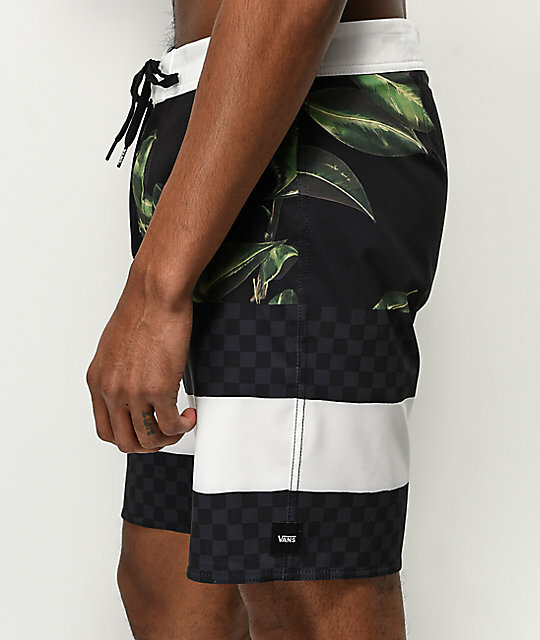 Era Black Board Shorts from Vans. 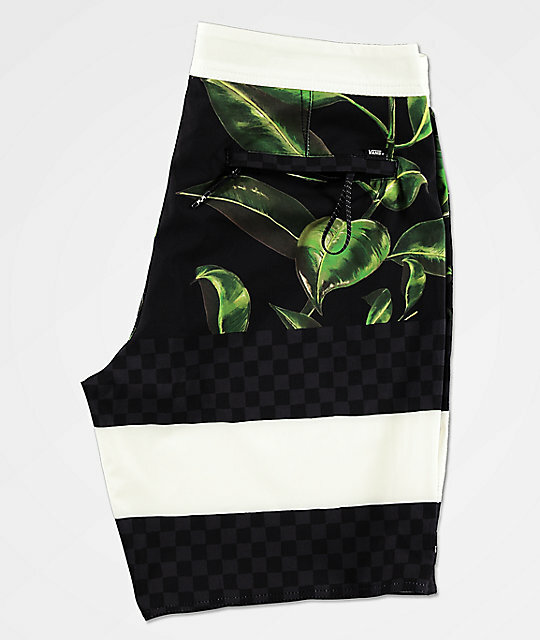 Black and green leaf pattern throughout upper, checkerboard and stripes throughout legs.